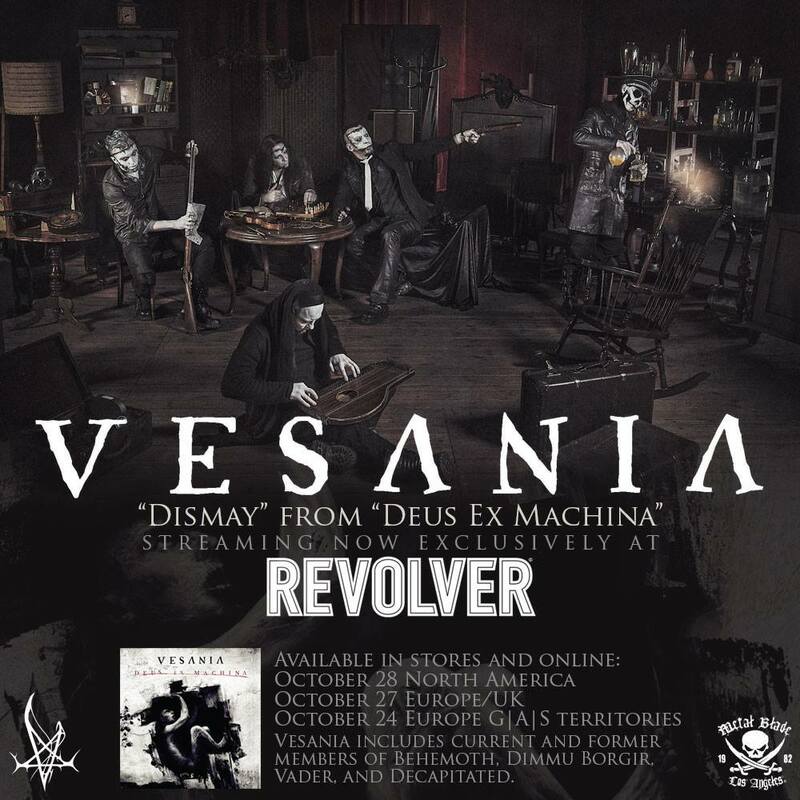 Vesania debuts new song “Dismay” via REVOLVER Magazine Magazine! Poland’s Vesania have released a new song from their forthcoming album, “Deus Ex Machina.” The track, “Dismay,” is streaming now at http://www.revolvermag.com/news/vesania-featuring-orion-of-behemoth-premiere-new-song-dismay.html. The Polish symphonic black metal act that features current and former members of Behemoth, Dimmu Borgir, Vader, and Decapitated, have been releasing albums and touring in Europe for over a decade. The band’s fourth full-length album, and first since 2007, is scheduled for release on October 28, 2014 via Metal Blade Records. Fans can stream “Innocence” and pre-order copies of the album now at metalblade.com/vesania.